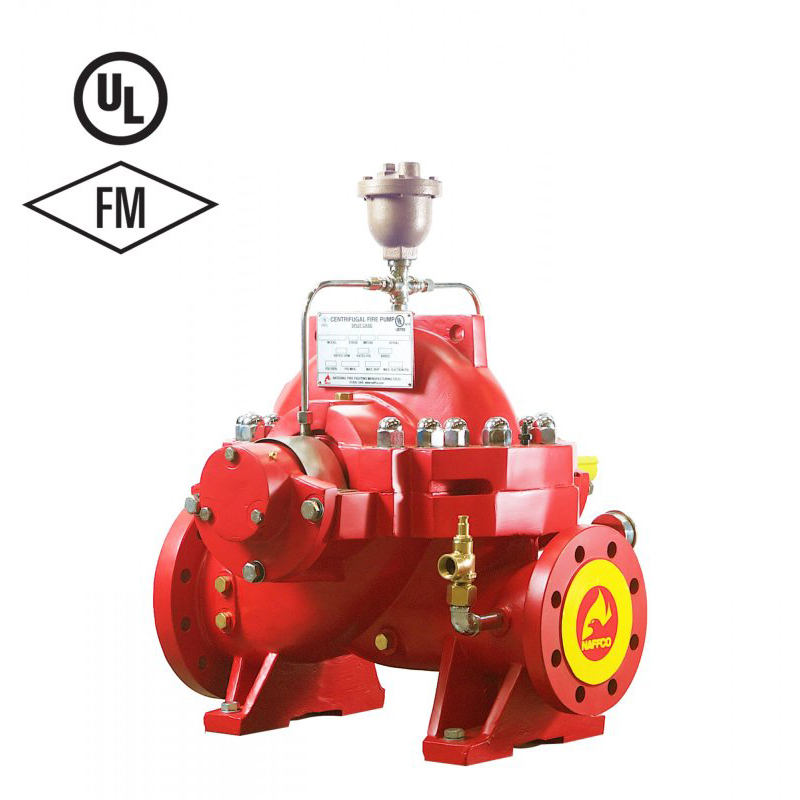 Operation run test as per NFPA 20, UL 448 and FM 1319 requirements. Horizontal Split case pumps for capacities from 500 to 1500 US GPM at 3550 rpm and 750 to 1500 US GPM at 2900 rpm. Drivers: Electric motor drive or diesel engine drive. Electrical testing capabilities for motors and controllers as per NFPA standards. Capable to supply additional accessories wherever required. The casing is axially split, which permits removal of the complete rotor without moving either piping or motor. Pumps generating high heads have double volutes to reduce radial forces, ensuring minimal shaft deflection and low bearing loads. Replaceable wear rings protect the casing at the impeller running clearances. On both sides grease lubricated deep groove ball bearings. The closed impeller have double curved vanes. The double suction design gives practically zero axial forces. Each impeller is dynamically balanced according to ISO 1940-1 standard. Soft-packed stuffing box. Cooling linesare provided for additional cooling of the graphite impregnated type gland packing.